Saint Lary-Soulan ski apartments with shared swimming pool. Great range of ski holiday accommodation to let in Saint Lary-Soulan ranging from a studio for 3 to a beautiful ski apartment for 12 people. Saint Lary-Soulan is one of the French Pyrenees principal ski resorts with over 100km of ski slopes, comprised of 53 individual graded runs. Saint Lary 1700 has a children’s ski area and kindergarten. The principal ski run is the Mirabelle which is over three and a half kilometers and covers over 700 metres of fall line. Up at Saint Lary 2400 there is a snowpark with mogul and slalom areas. 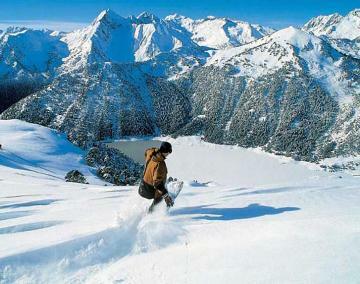 We have 7 ski apartments in Saint Lary Soulan.